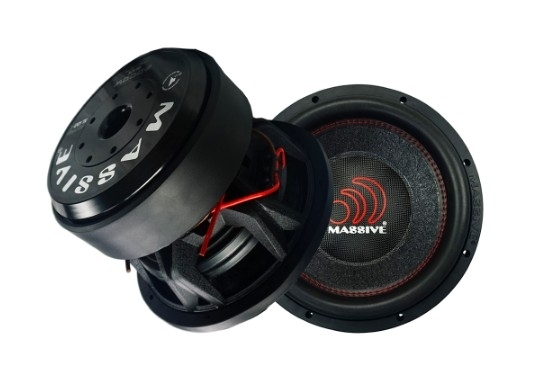 Massive Audio - HIPPOXL122R | HIPPOXL122R | Subwoofer | Toms-Car-Hifi - Kaufen was Freu(n)de macht! The Hippo XL 122R is a NEW CEA 2031 Certified Subwoofer and is a add-on to the current wildly popular HIPPO series subwoofers. "Big Bass with a Big Bottom!" The HIPPO XL122R is Dual 2 Ohm, 3000 RMS 6000 Max that uses a 4” Black Anodized VC, 430oz stacked Strontium Magnets and tight Red stitching that’s sewn through Kevlar Fiber Non-Pressed Paper Cones.